There is way more behind a digital campaign than creating a Facebook page and boosting posts, especially one that starts from nothing. It requires a focus on brand-building strategies across platforms implemented with significant technical expertise. 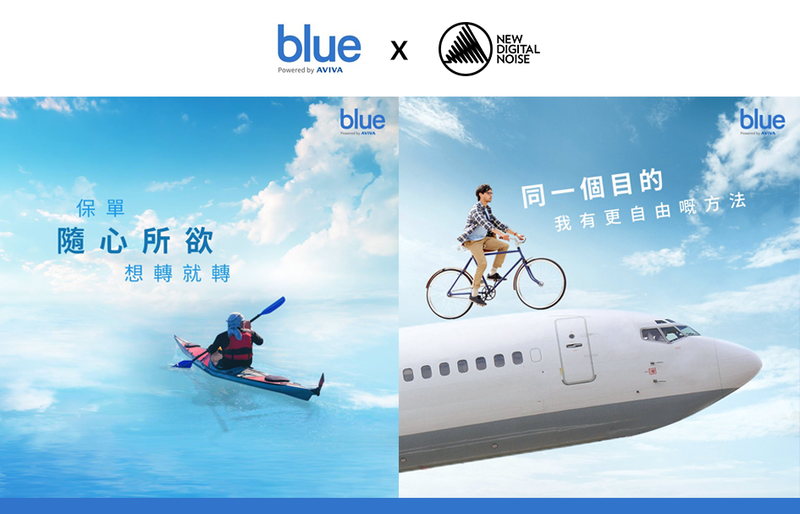 From September onwards, we have been assisting Blue, Hong Kong’s first digital life insurer, in unfolding its first-ever digital campaign in full-scale. Our project spans from designing an official webpage, making noise through social media platforms to developing the latest AI-enabled interactive advertising. With a clear goal to build brand awareness, the project covers popular social media sites including Facebook, Instagram, Wechat and Youtube. We developed corresponding content strategies based on not only our expertise, but also objective data from AB testing, experimenting with two sets of formats such as layouts, tones of voice, headlines and graphic styles for various types of content, audience and social networking sites. Video is one of the most effective ways to get viral on the internet today. Our creative team produced a fun, witty marketing video in collaboration with local comedy duo FAMA to deliver the key values of Blue — offering a simple and flexible insurance experience with no commission or hidden charges incurred. A brand-new website is built after rounds of test and learn. It boasts an overall sleek and simple style that fits the brand best. With careful research, we adopted Search Engine Optimization (SEO) and Search Engine Marketing (SEM) strategies to bring traffic to the website and extend its reach to our target audience, ultimately generating leads for the business. Aside from traditional display ads such as static and animated banner ads, our team has developed cognitive ads for Blue, widely understood as artificial intelligence chatbot which allows interactive engagement with potential customers through one-on-one dialogues. New Digital Noise offers comprehensive strategies for digital campaigns from planning to execution. Any thoughts about extensive branding or rebranding? Reach out and chat with us. What Is SEO and Should You Care?